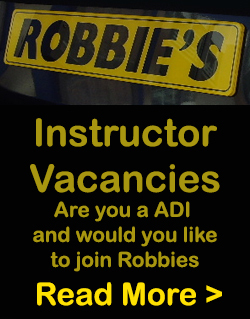 Are you and ADI/PDI and would you like to join Robbie’s? Due to constantly increasing demand Robbie’s are looking for another experienced ADI to cover north Bristol and surrounding areas. This is a permanent franchise vacancy. There is another vacancy for an experienced ADI to become our AUTOMATIC INSTRUCTOR in areas in South Bristol and further into the South West. 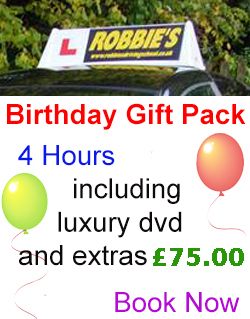 This includes a new vehicle supplied by Robbie’s. 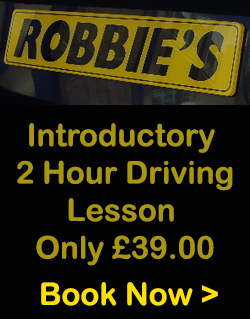 Also if you’ve just got your trainee licence and need a driving school please contact us. We may be able to help you!